The two BJP-governed states have been at loggerheads over the trans-location of Asiatic Lion. The Shivraj Singh Chouhan government had asked the Gujarat government to send a few lions from Gir to Kuno Palpur sanctuary. However, the Gujarat government had argued against the need to move the Asiatic lions, saying that the Kuno reserve isn’t suitable for lions as it houses tigers, and its weather and environment aren’t conducive for their survival. Asiatic lion is listed as endangered by International Union of Conservation of Nature (IUCN) based on the small population size and exists as a single isolated population in Gujarat. 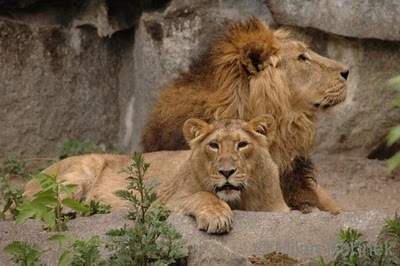 The Court asked the Ministry of Environment and Forests (MoEF) to take urgent steps for reintroduction of a small number of lions to Kuno from Gir on the ground that the highly-endangered species needed to be dispersed to eliminate the risk of extinction in case of an epidemic outbreak. Bench of Justice K.S. Radhakrishnan and Justice C.K. Prasad has given a time of six months to the Gujarat government to move some of the Asiatic lions from Gir Sanctuary to Kuno Palpur wildlife sanctuary in Madhya Pradesh.